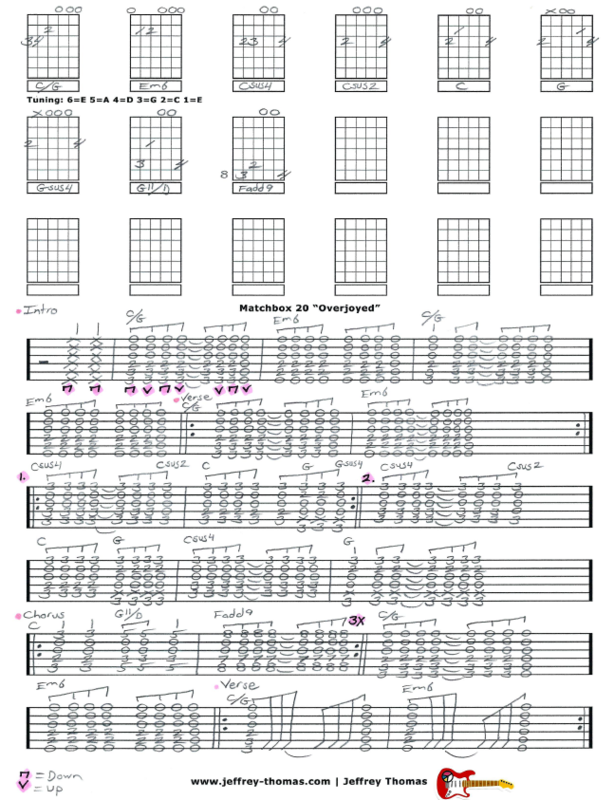 Matchbox Twenty Overjoyed Free Guitar Tab by Jeffrey Thomas. The trick to playing this song properly is the tuning. I had to do some digging to find out what it was and I nailed it. Learn to play this awesome ballad just like the recording with my custom guitar tab showing the tuning, song structure, chords and proper strumming. If you like this acoustic pop style tune by Matchbox Twenty make sure to get the full guitar tab for free! Just send in your email through the form provided and I’ll get it to you. Looking to improve your guitar playing? Make sure to fill out the Schedule A Free Lesson form to set up a free Skype guitar lesson today! “Overjoyed” peaked at #16 on the U.S. Billboard Adult Pop Charts. Find more great online guitar lessons on my tab, video and blog pages!